I'm sorry I've been missing in action this week. My computer is still being repaired...but the good news is I will have it back next week and I should hopefully be back to blogging as normal! I have so much to share!!! Also make sure to check back on Monday when I announce the winner of the Home Depot $250 dollar gift card!!! But let's get on with this week's Frugal Round-up, shall we? 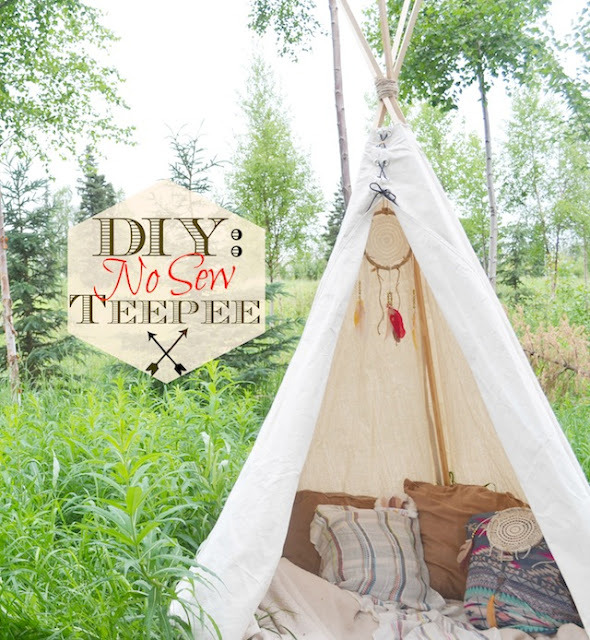 First up, I LOVED this DIY no-sew Teepee shared by Fawn Over Baby. Teepees and play tents are HUGE right now...and let's face it...anything that doesn't require me to pull out the old sewing machine is much more likely to get done! Lol! Do you keep chickens? 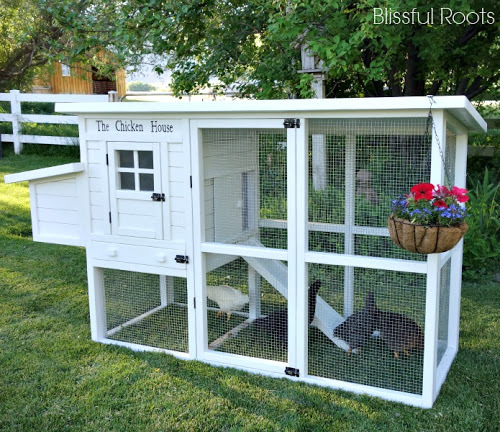 I don't...but I'm very intrigued with the idea so I had to share this adorable chicken coop linked up by Blissful Roots. Lucky chickens! 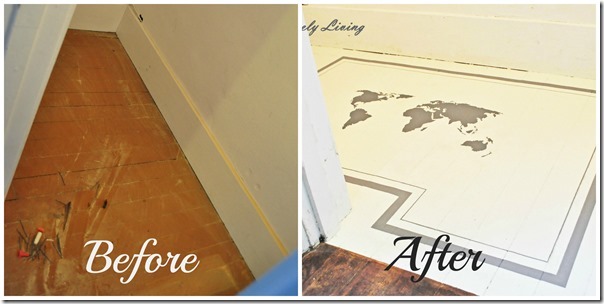 Finally, Creatively Living shared her closet floor makeover. So clever and cute, I just had to share! Thanks so much for hosting another great one! Thx for hosting another great party! Have a wonderful weekend! Hope the computer is back up and running really soon...must be frustrating. Thanks for hosting! Hi Wendy, glad you found a way to hold your party today. Always very frustrating when ones computer refuses to cooperate/work. Hope you get it back soon. Thanks for the party, Wendy! Have a really great weekend! thanks for hosting the party! :) Have a great night! I love that teepee! I have been thinking of making something very similar for my son's room. That tee-pee is so so cute! Thanks for hosting! I love the teepee! Thanks for hosting this party; so much inspiration! Thanks so much for the party!!! Thanks so much for the wonderful party every week, Wendy! And thanks for featuring our chicken coop. We're new to chicken raising, but it's been so, so enjoyable! Have a great weekend! Happy Friday and thanks so much for hosting! Thank you so much for featuring my closet floor! It was fun to get a break from refinishing floors and to do a "fun" project! Have a great weekend! Wendy, another beautiful Friday party! Thanks for hosting! Cute tippee, my g'girls love this! Thank you for hosting. Enjoy your weekend. Good luck with your computer; I hope it's up and running again soon! That closet floor redo was also one of my favorites from last week. So amazing! Have a great weekend and thanks for another great party! Thanks for hosting a great party! Have a wonderful weekend! Oh so many wonderful ideas . . . thanks for hosting! Thanks Wendy fo hosting and a great party!